Insurgent: noun a rebel or revolutionary. "an attack by armed insurgents"
Given that definition, what better place to start with Conservative Insurgent Thursday than with a true icon of (pardon the political connotations of the term) the young turks of the conservative movement? Milo Yiannopoulus is the perfect starting point. There is a new vanguard that has arisen among conservatives who are younger, but often more in tune with the roots of classical liberalism, conservatism, and their adjunct components than a lot of establishment so-called conservatives. There is a surprising diversity of conservative opinion as will become obvious throughout this series. This stands in stark contrast to progressivism which, by it's very collectivist nature, seeks to mitigate the difference between people that should rather be celebrated. Given the purpose of this weekly feature, I have no intention of dwelling on any negatives or controversies associated with any of these conservative insurgents. If you want that, you can find plenty of negativity on any of these people in plenty of liberal places. The purpose here is to make you aware of who these people are, fighting for our conservative values and provide reasons why they might deserve your attention or support. Milo is certainly a bomb thrower. He comes to debates backed with facts, but he has no reservations about using sarcasm, foul language or ad hominem attacks as he sees fit. It certainly garners attention generates enemies (on both the left and right). But when it is followed cogent, solid and mostly irrefutable factual arguments, attention is an asset. Many on the conservative side of the spectrum are afraid to say what they really think. It's hard to win an argument that way and Milo's biggest asset is that he understands that point. And like president Trump, he punches back whenever he needs to do so. Milo was born and raised in England in 1984 to a Greek-Irish father and a Jewish mother. He describes himself as Catholic. Milo is also openly gay and has been married to an African-American man, since 2017. He is often described as a member of the alt-right, which he rejects, given the now-accepted definition of that term. [The term alt-right was initially defined differently than it's current definition as neo-Nazi/white supremacist]. He is a resident alien in the United States. Milo was an early journalist covering the Gamergate issue, however he did so from the perspective that it was a feminist incursion into a space that there was no need to foist feminism upon an unsuspecting public group. Milo came to prominence in America during his time as a tech writer at Breitbart. 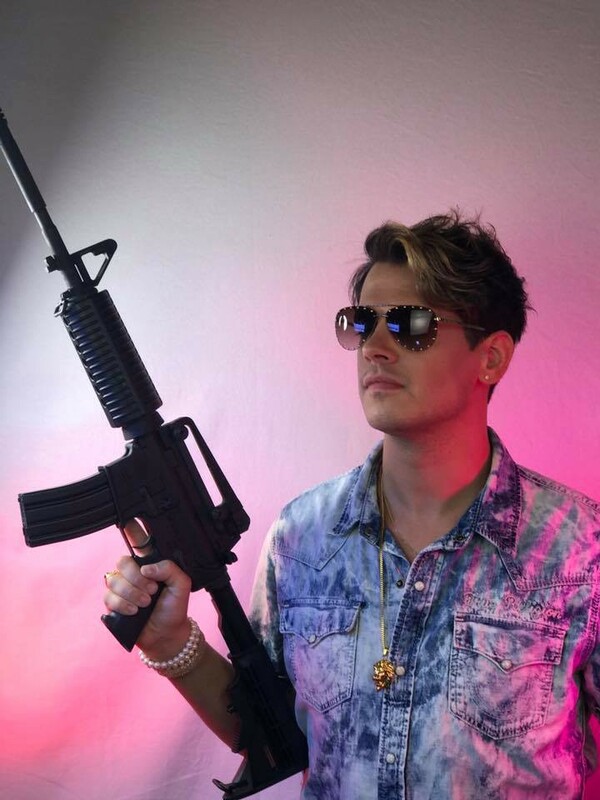 After a specious scandal, which Milo vehemently denies the mainstream take on, Milo left Breitbart and has since published a bestselling book and toured in support of it, but more generally, in support of conservative principles at colleges, for which he has been persecuted, censored, and even threatened with death. Milo developed a massive following on Facebook, and Twitter and has his own Youtube channel. Milo was removed and permanently banned from Twitter after a scathing review of the Ghostbusters reboot, following which some of his followers tweeted some truly offensive comments, even though Milo himself did not. Ironically, the banning elevated Milo's audience as Twitter has developed a reputation for banning conservative voices and his was a very notable case. Milo has offended and is at odds with a lot of the mainstream media, establishment conservatives and even other insurgents as well (Ben Shapiro comes to mind). Nevertheless the Republican party, which is supposed to be the home of conservatism, is supposed to be a big tent. There are a large number of conservatives who have not felt that they have had a voice, or a voice that is strong enough or eloquent enough to push back against the cacophony of socialist voices, social justice warrior voices, and progressivist voices. Milo provides such a voice. He is quick-witted, intelligent and does not back down. He is a natural consequence of the same oppressive culture in America (and the West in general) that gave rise to president Trump, and Brexit. More importantly, there are a lot of potential conservatives, whom Milo has the potential to reach, or awaken because of his unique and sharp take on issues as well as his fearless desire to reach younger audiences who may have not yet been fully indoctrinated by the political left or at least may still be reachable. Not only is he able to debate he is also a very effective promoter and can garner the attention needed to at least start those conversations or point out the censorship efforts of the left if they force him to not make an appearance.